Middle Child Theatre Company’s rehearsal room, photo by Thom Arran. Do you love telling stories? Fancy working with actors, musicians, writers and designers to bring them to life on stage? Then Hull theatre company Middle Child want to hear from you as they look for potential new theatre directors in the city. 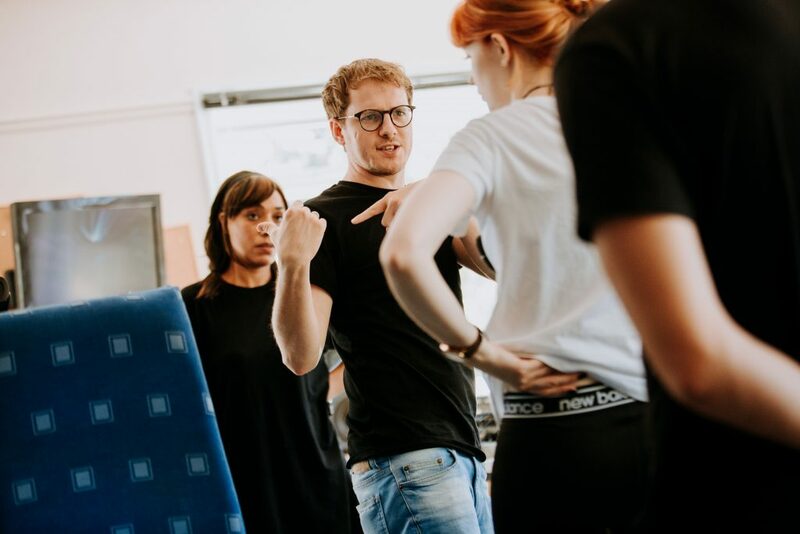 Applications are now open for their free Introduction to Directing programme, which is aimed at storytellers who are yet to do any formal training in directing or even theatre. Middle Child’s new programme will give participants a taste of theatre-making across two weeks in April and May this year and is part of the Regional Theatre Young Directors Scheme (RTYDS). Applications are now open and close on Wednesday 14 February. People can apply by sending an expression of interest in a way that is most accessible to them, such as by email, phone or by speaking to Middle Child in person. Visit the Middle Child website for more details or call their office on 01482 221857. Be the first to comment on "Learn how to direct theatre with a new free course from Middle Child"